Great apartment in very good location - very quiet at night. . Begona very helpful. We only had breakfast in the apartment but everything supplied if you wanted to cook. Lots of restaurants and cafes/bars close by. We were met by Begona's brother who gave us a map and keys. There is also an information book. Malasana is an area worth visiting. 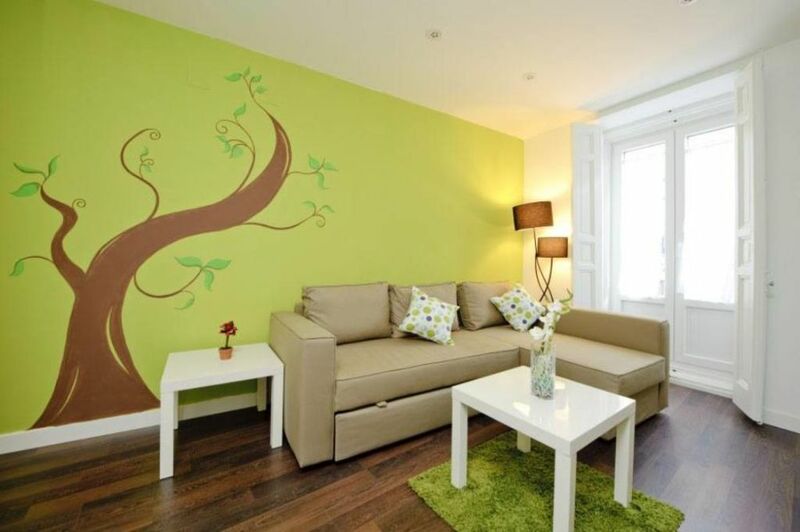 You cannot go wrong booking this apartment. Awesome location and very clean and comfortable. I would definitely stay here again! Property is clean and impeccably decirated. The location is perfect, clise to everything. We had a blast. Definitely coming bact to Madrid and to this property. Begoña is a very nice host. Everything was perfect. This studio-style apartment had everything you could need for a great visit in Madrid. We stayed for 6 nights with our two children. Walking distance to everything, laundrymat right next door, and a complete kitchen for simple cooking. We were very comfortable. An added bonus: the Fox in a Box escape rooms are one block away. I highly recommend. Very easy to be located in front of the metro operates three lines and direct access to renfe. Road access is through the M-30. All important museums (Royal Palace, Prado, Thyssen, Reina Sofia) are close enough to access a pleasant walk through the center. Two metro stops from the lungs of Madrid (House, zoo, amusement park) and 500m from the emblematic Madrid Rio. Terrazas charming and excellent food (Casa Botin, the ball) very close. tarifas decrecientes en función de la duración, tarifa en función del número de personas, fianza pedida, arras/deposito de reserva, entrega de llaves realizada por propietario ausente durante la estancia. el parking es opcional, no esta incluido.